This paper contends that legislatures should be primarily responsible for resolving great public problems and deliberating about and ensuring the protection of fundamental rights and freedoms. Part I surveys the Charter’s impact on representative politics, examining the phenomena of the rise of rights rhetoric, policy distortion, democratic debilitation and the strategic use of judicial review by political actors. In light of the strong critiques of the Charter’s impact on representative politics canvassed in Part I, Part II turns to address the fundamental importance of rights and freedoms in a democracy. Part III evaluates arguments in favour of judicial review as a superior mechanism for protecting fundamental rights. Finally, Part IV reflects on the potential for and risks to rights protection without judicial review. The Charter itself was not the product of a broad movement for a bill of rights among citizens, nor a response to widespread abuse of human rights. 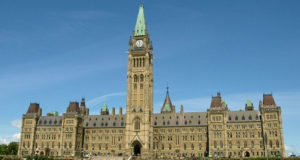 With the repatriation of our Constitution—a great “constitutional moment” for Canada—legislators opted for expending constitutional energies on empowering the judiciary to review legislation and government action against a new constitutional charter of rights, rather than on achieving reform of representative institutions, such as by introducing mechanisms to make the executive branch more accountable to Parliament, or to reform the Senate. The Charter was enacted at a time when the power of the Prime Minister’s Office and central agencies was greatly expanding. It was, Bogart claims, part of a trend of turning to law to settle disputes and “a device to shore up the centralizing tendencies of Pierre Trudeau”. Canadians were “bombarded” with the importance of the Charter and its connection to Canada’s identity by the media, government, institutions of education, rights advocacy groups, and special interests. Before the Charter, courts had a much more limited role in Canadian society. According to Bogart, pre-Charter, only a select group of lawyers and academics looked to judges to resolve complex social and economic issues, and for good reason. Whereas courts were dominated by liberal values of unfettered markets, minimum state involvement in social policies, and free individual choice, in pre-Charter Canada liberalism was strong, but was enriched by Toryism and social democracy. Neither courts nor markets were seen as a prime vehicle for addressing social issues, and representative politics had a central place. It is no surprise, then, that the enactment of the Charter encountered resistance from both conservative and socialist provincial governments fearful of giving judges increased powers to interfere with legislative programs. That major concession, the notwithstanding clause, did not prevent their fears from becoming a reality. The impact of the Charter on Canadian governance has been labelled the “judicialization” or “legalization of politics”. Defenders of judicial review under the Charter contend that judicialization enlivens representative politics by generating inter-institutional “dialogue”. The dialogue metaphor is deeply disputed, however, and has been styled by sceptics as a cloak for judicial supremacy. Yet even if there is merit in the metaphor, the dialogue is dominated by “rights talk”, which has significant implications for the nature and tone of political debate. Moreover, this supposed institutional dialogue distorts public policy making and may change how legislators consider and debate—or not—our fundamental rights and freedoms. [T]he key difference between the British legislative debate and the American judicial reasoning is that the latter is mostly concerned with interpretation and doctrine, while in the former decision makers are able to focus steadfastly on the issue of abortion itself and what it entails—on the ethical status of the fetus, on the predicament of pregnant women and the importance of their choices, their freedom, and their privacy, on the moral conflicts and difficulties that all this involves, and on the pragmatic issues about the role that law should play in regard to private moral questions. Those are the issues that surely need to be debated when society is deciding about abortion rights, and those are the issues that are given most time in the legislative debates and least time in the judicial deliberations. It has been common since Roe v Wade for the abortion issue to be framed in constitutional rights language on both sides—a right to choose versus a right to life—a rhetorical framing that has captured the debate in Canada as well. As Professor of Sociology Kim Lane Scheppele observed, “Making abortion a constitutional question changes how abortion can be represented and how competing arguments can be staged. This tends to eliminate gradualist or compromise solutions to contentious problems.” A great irony in the Canadian context is that our Supreme Court has never declared a “right to choose” as the US Supreme Court did in Roe. 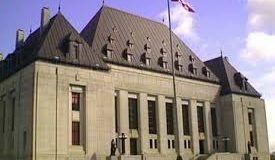 In fact, the Supreme Court of Canada explicitly authorized Parliament to regulate abortion, provided it do so in a matter that accords with the principles of fundamental justice. Nevertheless, simply by ruling on the issue and tying timely access to abortion to the rights protected in s. 7 of the Charter—namely, life and security of the person—abortion was established, rhetorically at least, almost exclusively as a rights issue. Despite what the Court stated in Morgentaler and other decisions about Parliament’s authority to legislate protections for the unborn, our last Conservative Prime Minister referred to the Morgentaler decision as the close of the debate. Beyond abortion, even in such broad, complex policy debates as health care, education, and social welfare, Bogart believes the tendency to resort to rights rhetoric has grown on all sides. Andrew Petter, reflecting on his twenty-five years of experience as a government lawyer, law professor, provincial NDP cabinet minister and Attorney General, believes the Charter has created “two spheres of public discourse,” one of rights and one of policy, and that the former has a “huge rhetorical and political advantage” over the latter. Recognizing and exploiting this reality, politicians as much as lawyers or judges have promoted the “legalization” of politics. One way politicians have promoted the legalization of politics is through the strategic use of the reference procedure, as Morton and Knopff observe: “Governments have sought to avoid responsibility for politically controversial issues by collapsing the policy issue (Is it good?) into a constitutional issue (Is it legal?) and then referring the latter to the courts.” This strategy can be used both to legitimize a controversial policy favoured by the government and to delegitimize policies the government opposes. An example of the former was the successful use of the reference procedure by Bill Davis’s Tory government in Ontario to extend French-language education services in the provinces. 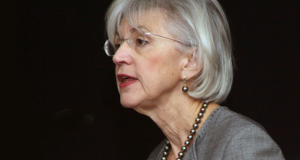 Based on the Court of Appeal’s opinion, Davis could tell his opponents that his policy was constitutionally necessary. A government may be able to advance its agenda by obtaining a favourable reference opinion. However, it can also end up effectively reducing the policy options available to it or subsequent governments. Moreover, the strategic use of the reference procedure demonstrates neglect by legislators of their responsibility to assess the constitutional legitimacy and impact on Charter rights of their policies. These two problems are discussed below. Legislative caution about running afoul of judicial interpretations of rights has been termed “policy distortion”, a phenomenon that causes legislators to select policies that may be less effective but more easily defensible against Charter challenge. Legislators may tailor statutes to “judicially articulated norms” of constitutional meaning, even where those norms conflict with the legislators’ understanding of constitutional norms. Distortion can also occur “when the legislature acts within the range of policies it believes is available to it, mistakenly believing that the policy [it prefers] is outside the available range.” In the Canadian context, we must consider not only potential differences in understandings of particular rights between judges and legislators, but also the fact that s. 1 of the Charter and the Oakes test allows courts to question the legislative means chosen to pursue legitimate ends. 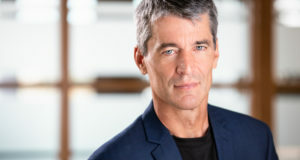 Andrew Petter believes that the Charter conflicts in several essential respects with policies favouring the utility of government programs and regulation to achieve social progress. Charter rights and freedoms, Petter explains, are predicated on hostility to legislative action and reverence for individual autonomy. Charter rights enable the judiciary to “chisel away at” certain aspects of legislative regimes designed to protect the economically disadvantaged and to “erect barriers to future innovation” in this area. Petter endorses John Hart Ely’s critique of the Charter as reflecting a systemic bias in favour of the “upper-middle, professional class” and maintains that the Charter tends to inhibit market regulation and legitimize prevailing inequalities. Mark Rush, conversely, believes the Supreme Court is actually caught up in a struggle between liberal and post-liberal constitutionalism. “Whereas the former emphasizes individual liberty and government restraint,” Rush explains, “The latter emphasizes equality and sees positive government action as a necessity for, not a threat to, the protection of individual freedom.” The latter is reflected in the willingness of courts to scrutinize government inaction when it comes to protecting minority interests—as in the cases of Vriend v Alberta. Willingness to remedy legislative inaction in the name of rights creates added potential for policy distortion, Rush suggests. Consider in this light the potential for policy distortion if Charter rights are judicially expanded to include positive economic rights, which the Supreme Court of Canada indicated in Gosselin is a future possibility. Since the Charter hangs uncertainly over the heads of legislators—“like a form of blackmail” in the words of one MP—the degree to which it distorts policy is difficult if not impossible to measure. There are, however, compelling illustrations of how policy distortion has occurred. Consider just one example: the legislative response to Schachter v Canada, in which a provision of the Unemployment Insurance Act providing fifteen weeks of parental leave to either of an adoptive set of parents but only the mother for biological parents was struck down for violating s. 15 of the Charter. The legislative response was to provide parental leave benefits to all parents for ten weeks, thereby increasing benefits to biological parents, lowering benefits to adoptive parents, and substantially increasing public expenditures overall. It might seem strange for both of these issues—policy distortion and democratic debilitation—to be present simultaneously. Presumably, if policy distortion is happening, it means that legislators are concerned about not violating rights—and therefore democratic debilitation would not be occurring. However, policy distortion itself may not signify that legislators are actually concerned about rights per se. Rather, legislators may be concerned with avoiding giving their political opponents the rhetorical weapon of presenting them as rights violators should their policies fail a Charter challenge. That there is an internal (Department of Justice) Charter vetting process for government bills and even the occasional referring of controversial legislative proposals to appellate courts does not support an argument that democratic debilitation is not taking place. The internal vetting process is not conducted by legislators but by lawyers in the public service. Reference cases, as noted above, are primarily political tools that enlist the courts to make the constitutional case for or against a given policy. Relying on Charter rights to resolve public debates can pull us away from the hard work of making representative politics work well on a day-to-day basis, undermine deliberation, and distort policy. These are the downsides, but do the benefits in terms of rights protection outweigh these costs? Some argue, as noted earlier, that “Charter politics” undermines openness to discourse and compromise, on which liberal democratic politics depends. But are rights too not a prerequisite for liberal democracy, at least and likely more important than “openness to discourse”? Democracy without respect for individual rights is widely considered to be mere majority tyranny. And is the proliferation of “rights talk” really such a bad thing? Michael Ignatieff credits human rights language as embodying the intuition that individual persons are equally entitled to moral consideration. He therefore suggests that the increased influence of human rights language over the conduct of states constitutes moral progress. Human rights politics, though it “is bound to be partial and political”, Ignatieff argues, is at the same time “disciplined or constrained by moral universals”; these universals can be used to rally nations against rights abuses. Ronald Dworkin has a high view of rights and defines them as matters of principle, to be distinguished from collective goals or mere matters of policy designed to make the whole community better off. Whereas policies are articulations of “a standard that sets out a goal to be reached, generally an improvement in some economic, political, or social feature of the community,” rights must be observed “because it is a requirement of justice or fairness or some other dimension of morality.” Rights may not be abridged, in Dworkin’s view, even if it is in the community’s best interests to do so. Dworkin’s conceptual division between rights and policy form the foundation of his argument in favour of judicial review, as discussed in Part III of this paper. Jeremy Bentham and John Stuart Mill famously derided the concept of rights and insisted that there is no theoretically sound way to assign abstract rights to persons. Even if we accept the concept of rights as principles, Dworkin’s division of rights and policies is dubious. Much of what Dworkin dismisses as matters of policy could be characterized as matters of right. For example, the policy of criminalizing anti-competitive business practices for the common good might be spoken of as one’s right to be protected from exploitation. Yet even if Dworkin’s distinction holds conceptually, it is impossible to separate the two concepts in practice because they interact in complex ways; rights principles tend to shape the formation of policies, and policies may interfere with or help to protect rights or even do both simultaneously. Do rights have any real-life significance, then? One would expect so, since Canada, like many other democracies, has recognized and entrenched in our constitution certain rights as fundamental based on, if nothing else, social consensus. 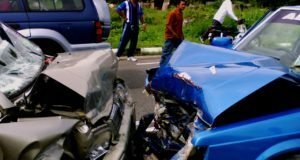 In basic legal terms, of course, to possess a right means that, in some specified circumstance, someone must do something for you (positive right) or refrain from doing something to you (negative right). Rights are relational. To say that there is (or ought to be) a right is to say that there is (or ought to be) a rule about the status or conduct of the right-holder and another or others. We believe that people hold certain legal rights not only against each other, but against the state and that one’s rights vis-à-vis the state require a special degree of protection, in part because of the inequality of power between individual and state. Moreover, as the International Covenant on Civil and Political Rights underscores, democracy itself depends on individual rights vis-à-vis the state. Democracy requires rights of political participation, meaning the right to vote and free and fair elections. For these basic democratic rights to be meaningful and enabling of the right to self-government, additional rights are necessary, such as freedom of conscience, expression, assembly, equality under law, and so on. Whatever their philosophical foundation, rights have predominantly been understood as normative. Talk of rights is often talk about what the law ought to enforce, not what it does in fact enforce. Outside of strict legal positivist perspectives, we commonly believe there are gaps between what is and what ought to be when it comes to rights. If rights are an ideal that we wish to pursue, and if securing rights is an important end of government, the question becomes how we are to determine the legal content and limits of our rights and, having done that, how best to secure them. Moreover, if policy debates are to be resolved by an application of rights, it simply begs the question of who decides who possesses what rights and what the nature, content and scope of those rights are. One explanation for why we allow courts rather than legislatures to have the final say on rights is that people fear the potential consequences of the alternative. Yet Parliamentary supremacy on rights matters was the reality in Canada before the Charter. Meanwhile, judicial review of legislation has occurred in the US for over two hundred years, but few would suggest that the US had a better human rights record than Canada. Moreover, there are still respected democracies in which legislative supremacy is maintained, such as the UK and Australia. Do they have measurably worse records on human rights? So it is that the debate becomes instrumental in nature, if not from the outset, then not before long. Arguments for and against judicial review routinely rely on complex empirical and historical matters on which legal academics have little expertise. Therefore, in what follows I focus on the basic theoretical arguments for and against judicial review of legislation on rights grounds. Dworkin’s case for the division of labour between the legislative and judicial stems from his conceptual division between principles and policies. Since determining the scope of rights is a matter of principled argument and the courts are institutions where decisions are determined by the quality of one’s arguments, it follows that the courts ought to have the final say on rights matters. Another way of accounting for judicial review is as the necessary consequence of “combined commitments to higher-law constitutionalism and impartial adjudication of legal disputes.” Some consider it a contradiction to say that people have certain rights against the state while assigning to the state the power to determine what those rights are and how they can be limited. The rule of law requires an independent and impartial body with appropriate procedures in place to apply the law to particular circumstances in order to reach a just outcome. Regular legislation creates “rights” of various kinds. The rights set out in a constitutional bill of rights may be of a special nature and higher status, but the rule of law here too requires that this body of law be interpreted and applied by an independent and impartial body, even to review legislation. It is said to be perverse for such fundamental rights to depend for their protection on transient majorities in legislatures. Prime Minister Brian Mulroney decried the notwithstanding clause for this reason. However, Michael Mandel argues, “The rights in the Charter depart from the democratic rule of law in every important respect. […] The Charter is mostly a collection of vague incantations of lofty but entirely abstract ideals, incapable of either restraining or guiding the judges in their application to everyday life.” If the enforcement of human rights by courts against legislatures is indistinguishable from moral and political philosophy, it is ‘not law at all’, as Judge Learned Hand said, and the case for judicial power over legislation based on the rule of law collapses. Though we may agree with Ronald Dworkin that a bill of rights is “an abstract statement of moral ideas” that “each generation must reinterpret for itself”, the question becomes why it should be each generation of judges that reinterpret it for successive generations of people who must be bound by their interpretations. A bill of rights is an abstract statement of moral ideas enacted by legislators, after all. Giving elected representatives the last word on questions of constitutional meaning does not defeat the principled character of the rule of law. Constitutional rights are subject to reasonable dispute; if representatives address such disputes in good faith, as we imagine judges do, then this more democratic means of resolving such question no more contradicts the idea of the rule of law than allowing such questions to be resolved “by the votes of shifting majorities of high court judges.” This point about the majoritarian nature of appellate court decisions raises another line of attack on judicial review. Even if rights are things of principle, Jeremy Waldron maintains that the question of judicial versus legislative supremacy on the resolution of rights matters is not a question of a principled versus a majoritarian approach to rights. Rather, judicial review simply replaces the majoritarian decision making of elected representatives with the majoritarian decision making of unelected judges. A non-instrumentalist case for judicial review? Harel and Kahana understand judicial review, as I do in this paper, to encompass the power of courts to make decisions on the constitutional validity of statutes. Where a statute infringes on someone’s rights or even if a person simply believes that it does, that person should have a right to a hearing. It is noteworthy that in administrative law, the duty of procedural fairness—the duty to grant a hearing and to decide a matter impartially—is not owed where the government decision being disputed is legislative in nature. It is a basic rule of Canadian administrative law that a person is entitled to procedural fairness whenever a statutorily empowered decision maker exercises discretion in a manner affecting her interests. You can always apply to have a court review the way a law has been interpreted and applied to your situation. However, when it comes to challenging legislation itself, one is not owed a hearing. Rather, one is entitled to participation in representative democracy. It seems that Harel and Kahana do not adequately account for this distinction and the underlying reason for it. There is certainly merit to the argument that the judicial process is the best mechanism for enforcing rights—indeed, that is its purpose—but when we are contemplating foundational matters of what rights should actually be recognized as legally enforceable in the first place, why should judges have the final say? They are judges, not philosopher kings. Law school didn’t train you and a judicial appointment shouldn’t anoint you to decree your ideas of society’s fundamental rights and values. We are obligated to submit to the decision of the majority, not because that decision represents a numerically superior will, but because it represents the best judgment of society with respect to a particular matter at a particular time. It is founded not upon the principle that the will of the many should prevail over the will of the few but rather upon the principle that the judgment of the many is likely to be superior to the judgment of the few. ‘For the many,’ as Aristotle declared, ‘of whom each individual is but an ordinary person, when they meet together may very likely be better than the few good. Deliberative democracy recognizes the individual’s capacity for impersonal reflection and reasoned deliberation and channels that capacity into a process of developing preferences through “open and un-coerced deliberation aimed at reaching a rational consensus concerning the common good.” Canada’s early constitutionalists believed that because the problem of faction could not be overcome, it should be channeled into institutions that moderate faction by requiring negotiation and compromise between a variety of perspectives and interests. In response to the ridicule of legislatures as places of “mere talk”, John Stuart Mill pronounced: “A place where every interest and shade of opinion in the country and have its cause even passionately pleaded, in the face of the government and of all other interests… is in itself, if it answered no other purpose, one of the most important political institutions that can exist anywhere.” Not only does the legislature provide a forum for publicly pleading a diversity of causes and interests, it is a law-making institution. Although the average legislator has little involvement in most policy-making and there is a consensus among political scientists that the size of legislatures is an obstacle to rational law-making, legislation’s authority as law is nevertheless based on the fact that it is authorized by a large popular assembly, by a consensus among a majority of members representing a variety of perspectives. There is a lot more to be said about the way that legislatures function in reality, but it will suffice for now to acknowledge that although having representative institutions in place is necessary, it is not sufficient for a well-functioning democracy. 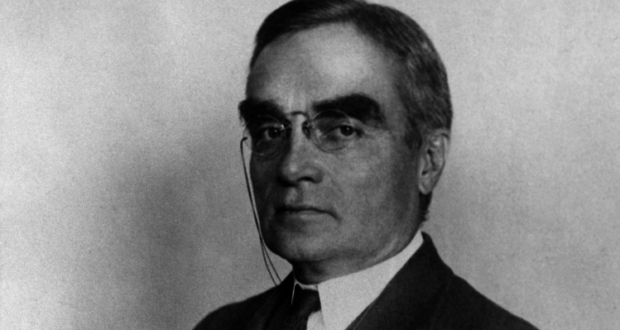 As Judge Learned Hand remarked: “Liberty lies in the hearts of men and women; when it dies there, no constitution, no law, no court can save it… While it lies there it needs no constitution, no law, no court to save it.” Legislators should hold to a conception of the common good that seeks each person’s wellbeing, which necessarily includes respect for each person’s rights. There is no necessary conflict between the common good and individual rights and deliberation should be aimed at finding ways to promote both. In addition, a free and democratic society requires openness to dialogue, compromise, and respect for rights. All of these fit together naturally in society in a kind of symbiotic relationship, reinforcing each other. To the extent that the Charter undermines one of these, therefore, it potentially undermines the others. Even if you take Dworkin’s perspective on judicial review over Waldron’s, Janet Hiebert points out that, in light of the sheer volume of laws and regulations, judicial review under the Charter will provide little assurance of a free and democratic society “if Parliament does not view itself, or is expected by others, as having an obligation to satisfy itself that its judgment is justified and reasonable in light of the values in the Charter.” If it is true that judicial review causes democratic debilitation—that legislators expend less effort contemplating the nature and importance of our rights and freedoms—we may be worse off with judicial review than without it. Canada relies too much and to our detriment on judicial review and judicial articulations of Charter rights and values. My point here is not that there are other, non-Charter issues that require greater attention, although that may also be true. Rather, I believe that courts have had some remarkable failures in recent years as guardians of rights, and that appealing to the public’s sense of fairness and respect for the rights of others may be the more promising path for the losers in such cases to take. In Saskatchewan Human Rights Commission v. Whatcott, the Supreme Court of Canada failed to give adequate weight to the importance of political expression, deciding instead to uphold the limits that the Saskatchewan law placed on Whatcott’s freedom of expression. The Court favoured the protection of a group it considers to be a vulnerable minority over freedom of expression. It is worth noting, however, that the vulnerable minority’s equality rights were purportedly being infringed by the offensive statements of a private citizen, whereas Whatcott’s freedom of expression was being limited by the state. This fits with Mark Rush’s argument that the courts are moving towards a post-liberal paradigm, growing less concerned with restraining the power of the state and more concerned with promoting the status and welfare of particular disadvantaged groups—even if doing so involves limiting freedom of expression, as in Whatcott. Parliament’s recent repeal of the hate speech provision of the Canada Human Rights Act and the speech of the bill’s sponsor stand in marked contrast to Supreme Court’s Whatcott judgement. In S.L. v Commission Scholaires des Chenes, the applicants were challenging the Quebec government’s denial of an exemption for their child from Quebec’s new Ethics and Religious Culture (ERC) Program. When it came to this subject area, there had always been exemptions available for students. What is remarkable in this case is that the Supreme Court tied the development and implementation of the ERC program to its own Charter jurisprudence: “The historical, political, and social context of the late 20th century… and the interpretation of freedom of religion by Canadian courts have played an important role in the Quebec government’s decision to remain neutral in religious matters.” The claimant-sensitive approach that had prevailed in other cases dealing with exemptions from school curricula seemed to be forgotten in this case. In light of the Court’s view of the changes in Quebec’s curriculum as fitting with its vision of a secular society, it is no surprise that the claimants could not satisfy the Court that their freedom of religion was substantively infringed by the “neutral” ERC curriculum. Based on the Supreme Court’s ruling in S.L., the Quebec Court of Appeal decided in another case that Loyola High School, a private Jesuit school, was not entitled to the freedom teach its own curriculum on ethics and world religions in the place of the state curriculum. This was a freedom that the school had enjoyed since long before the Charter of Rights and Freedoms was enacted. Loyola’ Principal, Paul Donovan, went on a cross-country tour last year to raise awareness about his school’s case. He says that he did so as a response to the Quebec government’s refusal to discuss how the state curriculum might be adjusted to meet the needs of a Jesuit school. Perhaps he also hoped that promoting public sympathy for the cause of his school would help its chances of obtaining a favourable ruling from the Supreme Court of Canada, which heard Loyola’s appeal last month. The efforts of a high school principal to plead his cause to the public brings into the picture a class of people who tend to be ignored in legal academic writing on the subject of rights. I am talking, of course, about ordinary citizens. Judicial review insulates the public from a sense of collective responsibility for limiting the rights of a fellow citizen. Today, if my rights are violated by an unjust law and I complain to my fellow citizens about it, they might be sympathetic and wish me well in the courts, but would they hold their representatives to account? 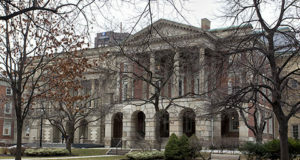 When editorialists opine on Charter rulings that they feel inadequately protect rights, the court is often the institution that is presented as blameworthy for limiting the person’s right. However, in Whatcott and Loyola, as in all cases, it is not the court that is restricting rights, but the legislature or executive. Yet we see the courts as responsible for protecting our rights and criticize them when we think they do a poor job of it. Our complaints may not sway the judges, however, and we have no means for holding them to account. Whatever the comparative value of courts and legislatures when it comes to protecting rights, when one’s rights are violated, he should be able to hold elected officials publicly responsible and appeal to one’s fellow citizens, rather than have a judge’s opinion be the end of the matter in the public’s mind. There may be value in the right to have a court judicially review a law, but perhaps more important when it comes to preserving our rights and freedoms, is the chance to be heard by elected representatives and fellow citizens who actually believe they have a responsibility to me, as I do to them, to respect my rights and freedoms. Ultimately, trusting the courts to ensure that our rights are protected undermines this sense of collective responsibility for each other’s rights. Whatever have gained with the Charter, could this be our greatest loss? So asks Yuval Levin in The Great Debate: Edmund Burke, Thomas Paine, and the Birth of Left and Right (New York: Basic Books, 2014), at 226. This paper is primarily about judicial review of legislation, in particular, judicial review that allows judges to invalidate legislation for violating Charter rights. I am not concerned with judicial review of legislation on division of powers grounds. For a discussion of weak versus strong judicial review and the separate question of judicial supremacy, see Jeremy Waldron, “The Core of the Case Against Judicial Review”, (2006) 115:1346 Yale Law Journal, at 1354-1358 [Waldron 2006]. Courts willing to be active, rights advocacy organizations that arose, politicians deferring to courts and using court rulings for political purposes, liberal academics supporting a strong role for the courts, a Charter challenges program, and other factors contributed to this shift, of course—but an entrenched bill of rights made all this possible. “Canadian Constraints on Judicialization from Without,” (1994) 15:2 International Political Science Review 165, at 166. WA Bogart, Courts and Country: The Limits of Litigation and the Social and Political Life of Canada (Toronto: Oxford University Press, 1994), at 266 [Bogart 1994]; see also Michael Mandel, The Charter of Rights and the Legalization of Politics in Canada (Toronto: Wallis and Thompson, 1989), at 32 [Mandel]. See Donald Savoie, “The Rise of Court Government in Canada”, 32:1 Canadian Journal of Political Science 635. Bogart 1994, supra note 5, at 267. WA Bogart, Good Government? Good Citizens? Courts, Politics, and Markets in a Changing Canada (Vancouver: UBC Press, 2005), at 17-19 [Bogart 2005]. 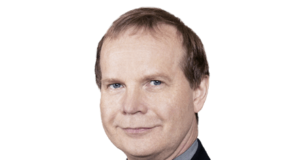 The presence of the notwithstanding clause presents a complication to the application of leading critiques of judicial review, such as Jeremy Waldron’s, to the Canadian context. However, the central critique in this paper about according to judges a prominent role in the interpretation and protection of rights still holds, given the wording of s. 33 of the Charter. Nevertheless, to the extent that s. 33 has become a dead letter, legislators are responsible. See Manfredi, infra note 14, at 181-195. See James Kelly and Christopher Manfredi, “Should We Cheer? Contested Constitutionalism and the Canadian Charter of Rights and Freedoms”, in Contested Constitutionalism, Kelly and Manfredi, eds (Vancouver: UBC Press, 2009), at 4 [Kelly and Manfredi]. Kelly and Manfredi note that the judicialization of politics has been a constant feature of Canadian federalism since its early days, as the decline of the Senate as an effective institution for integrating provincial interests into federal institutions resulted in a reliance on the courts to mediate inter-governmental conflict. The Supreme Court of Canada was also drawn into debates between the national and provincial governments increasingly using the reference procedure in the 1960s, but the Charter ushered in a greatly expanded role for the courts. Peter W Hogg and Allison A Bushell, “The Charter Dialogue between Courts and Legislatures”, (1997) 35:1 Osgoode Hall Law Journal. See for example, Christopher Manfredi, Judicial Power and the Charter, 2nd ed (Don Mills: Oxford University Press, 2001), at 178 [Manfredi]. Mark Tushnet, “Policy Distortion and Democratic Debilitation: Comparative Illumination of the Countermajoritarian Difficulty”, (1996) 94:245 Michigan Law Review [Tushnet]. Kim Cambell, “Parliament’s Role in Protecting the Rights and Freedoms of Canadians”, in Protecting Rights and Freedoms: Essays on the Charter’s Place in Canada’s Political, Legal, and Intellectual Life, P Bryden, S Davis, J Russell, eds (Toronto: University of Toronto Press, 1994), at 24. F Morton and R Knopff, The Charter Revolution and the Court Party, (Peterborough: Broadview Press, 2000) at 149. Peter Russell made this point in 1982, as recounted by Kelly and Manfredi, supra note 12, at 4. Waldron 2006, supra note 2. “Constitutionalizing Abortion”, in Abortion Politics: Public Policy in Cross-Cultural Perspective, in M Githens and D McBride, eds, (New York: Routledge: 1996) at 30. Morgentaler 1988, Chief Justice Dickson at 75; Justice Beetz at 124; Justice Wilson at 181. R Knopff, “Populism and the Politics of Rights”, (1998) Canadian Journal of Political Science 683, at 700 [Knopff 1998]. See Borowski v Canada (Attorney General),  1 SCR 342, 57 DLR (4th) 231 at para 47; Winnipeg Child and Family Services (Northwest Area) v G. (D.F. ),  3 SCR 925, at 45; Dobson (Litigation Guardian of) v Dobson,  2 SCR 753, at 18. Bogart 2005, supra note 9. Andrew Petter, The Politics of the Charter: The Illusive Promise of Constitutional Rights, (University of Toronto Press, 2010) at 219 [Petter]. FL Morton and R Knopff, Charter Politics, (Scarborough: Nelson Canada, 1992), at 30 [Morton and Knopff 1992]. Tushnet, supra note 15, at 247-248. Manfredi, supra note 14, claims that judicial concern with rights and duties as opposed to legislative concern with costs and benefits “truncates the assessment of alternatives” and “delegitimizes any concern with the financial costs of the proposed remedy for a constitutional violation.” In support of the latter point, Manfredi points to the Supreme Court’s decision in Singh v. Minister of Employment and Immigration,  1 S.C.R. 177, and its aftermath, which involved massive delays in refugee hearings. Petter, supra note 26, at 100-101. Mark E Rush, “Judicial Supervision of the Political Process: Canadian and American Responses to Homosexual Rights Challenges”, in The Myth of the Sacred: The Charter, the Courts, and the Politics of the Constitution in Canada, (McGuill-Queen’s University Press, 2002), at 68-69 [Rush]. Rush, supra note 35, at 70. Gosselin v. Quebec (Attorney General),  4 SCR 429, 2002 SCC 84. Quoted in Petter, supra note 26, at 217. Petter, supra note 26, at 216, also uses Schachter as an example of the role of Attorneys General in the legalization of politics: AGs often make decisions about how to argue and whether to appeal a case without consulting Cabinet and almost never consult the legislature. See Tushnet, supra note 15, at 247. See Morton and Knopff 1992, supra note 27. See Julie Debeljak, “Rights and Democracy: A Reconciliation of the Institutional Debate” in Protecting Human Rights, T Campbell, J Goldsworthy and A Stone, eds, (Oxford University Press, 2003), at 49. Michael Ignatieff, Human Rights as Politic and Idolatry, (Princeton University Press, 2001), at 4 [Ignatieff]. Often from the field of political science—see for example, Manfredi, supra note 14; see also P James, DE Ableson, M Lusztig, “The Myth of the Sacred in the Canadian Constitutional Order”, in P James, DE Ableson, M Lusztig, eds, The Myth of the Sacred: The Charter, the Courts, and the Politics of the Constitution in Canada, (McGuill-Queen’s University Press, 2002), [James et al 2002]. James et al 2002, ibid, at 4. BW Miller, “Justification and Rights Limitation” in Expounding the Constitution, Essays in Constitutional Theory, Grant Huscroft, ed, (Cambridge University Press, 2008), online: <http://papers.ssrn.com/sol3/papers.cfm?abstract_id=1084468>, at 12 [Miller]. Dworkin, quoted in Miller, Ibid. Andrew Levine, Liberal Democracy (New York: Columbia University Press, 1981), at 133-138 [Levine]. Miller, supra note 53, at 17. Richard S Kay, “Rights, Rules, and Democracy”, in Protecting Human Rights, T Campbell, J Goldsworthy and A Stone, eds, (Oxford University Press, 2003), at 118 [Kay]. Julie Debeljak, “Rights Protection Without Judicial Supremacy: A Review of the Canadian and British Models of Bills of Rights”, (2002) 26 Melbourne University Law 285, at 301 [Debeljak 2002]. Levine, supra note 55, at 128. Kay, supra note 59, at 119. Frank I Michelman, “Judicial Supremacy, the Concept of Law, and the Sanctity of Life”, in Justice and Injustice in Law and Legal Theory, S Austin and TR Kearns, eds, (University of Michigan Press, 1996) [Michelman]. Alon Harel and Tsvi Kahana, “The Easy Core Case for Judicial Review (2010) 2:1 Journal of Legal Analysis 227 [Harel and Kahana]. Mark Tushnet, cited in Mark A Graber, “The Law Professor as Populist”, 34 University of Richmond Law Review 373, at 376. Miller, supra note 53, at 16. Michelman, supra note 64, at 140. James et al. 2002, supra note 50, at 3. Mandel, supra note 5, at 39. Kay, supra note 59, at 128. Mandel, supra note 5, at 38. Quoted in Michelman, supra note 64, at 141. A point Jeremy Waldron emphasizes: Waldron 2006, supra note 2. Michelman, supra note 64, at 150. Waldron 2006, supra note 2, at 1392. Harel and Kahana, supra note 65. Baker v Canada (Minister of Citizenship and Immigration),  2 SCR 817 at para 20; Canada (Attorney General) v Mavi, 2011 SCC 30, at para 5. WN Eskridge and John Ferejohn, “Constitutional Horticulture: Deliberation-Respecting Judicial Review” (2009) 87:7 Texas Law Review 1273, at 1276. John Hallowell, The Moral Foundation of Democracy, (Chicago: University of Chicago Press, 1954), at 121 [Hallowell]. Debeljak 2002, supra note 60, at 306. Knopff 1998, supra note 23, at 688. Quoted in ibid, at 654. Jeremy Waldron, “The Dignity of Legislation”, (1995) 54 Maryland Law Review 633, at 637, 640. Quoted in Petter, supra note 26, at 99. Janet Hiebert, “Parliament and Rights”, in Protecting Human Rights, T Campbell, J Goldsworthy and A Stone, eds, (Oxford University Press, 2003), at 234 [Hiebert]. 2013 SCC 11,  1 SCR 467. Saskatchewan Human Rights Code S.S. 1979, c. S-24.1, s. 14(1)(b). Bill C-304, An Act to amend the Canadian Human Rights Act (protecting freedom), 41st Parl: 1st sess. Brian Storseth, House of Commons, Debates [Daily Edition], 41st Parl: 1st sess., November 22, 2011. 2012 SCC 7,  1 SCR 235. See for example, Zylberberg v Sudbury Board of Education, 52 DLR (4th) 577; 34 CRR 1 (ONCA). Québec (Procureur général) c. Loyola High School, 2010 QCCA 1786. Peter Stockland, “Championing a Cause the Countercultural Way”, The Cardus Daily, October 30, 2013, online: http://www.cardus.ca/blog/2013/10/championing-a-cause-the-countercultural-way. See for example, George Jonas’s rather hyperbolically titled article, “Supreme Court puts the final nail in the coffin of religious freedom,” National Post, February 28, 2012.